Travel and discover natures hidden treasures at Barot Valley : The Paradise on Earth. Nobody can ignore that Himachal Pradesh is the best state in India delivering the holiday packages with different adventure activities and attractions. We organizes various events and activities and provides unique tours and adventures programme in the region. Barot a very beautiful place in District Mandi in Himachal Pradesh, India which lies in Chauhar Valley better known as Barot valley. It is an emerging tourist place which offers many outdoor activities and fun like angling, tracking, picnic spot, camping etc. Barot Valley prospers in the lap of the great Himalayas and imbibes a sense of calmness among the travellers. 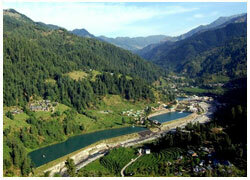 Barot is situated 25 km off National Highway 20. The diversion to Barot is at a village, Ghatasani, on the Mandi-Jogidernagar road, 14 km from Joginder Nagar and 35 km from Mandi. This Ghatasni-Barot road passes through Jhatingri and Tikkan. 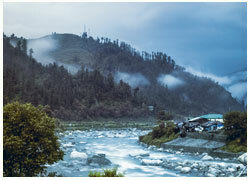 From Tikkan, the road runs along the Uhl River till Barot. Barot Valley Guide: Discover Nature’s Hidden Treasures In Himachal Pradesh-Barot Valley: Explore The Rising Hub Of Adventure In Himachal At Its Best With This Detailed Guide! Barot, a part of the Uhl river valley, is a small village situated in the Mandi district of Himachal Pradesh. Considered to be a diamond among the rough terrains, Barot Valley was initially developed for a hydel project over the Uhl river that has now become a rising tourist spot for travelers who have a longing for mountains. Barot Valley offers great opportunities to travelers who want to quench their thirst for adventure. 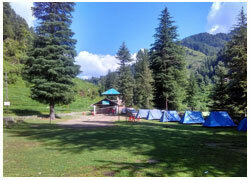 Barot Valley trek, camping, and fishing are some of the popular activities of this area. Plan a trip to Himachal and include this hidden gem in your itinerary for a stimulating experience amidst the Shivaliks. Are you looking for a peaceful holiday in Himachal? Do you want to know the places in Himachal where you will find beautiful and exquisite landscapes and less crowd? Are you looking for an unexplored place in Himachal where you can enjoy the nature? The answer to your query is BAROT. Barot is one of the less explored but very beautiful destinations in Himachal Pradesh. 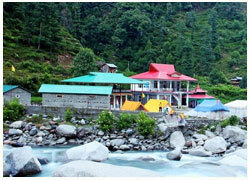 You can spend your vacation amidst nature in a very peaceful environment in Barot. Distance of Barot is about 60 Kms from Palampur, 40 Kms from Joginder Nagar and about 520 Kms from Delhi. 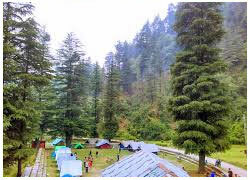 Situated amidst huge and enchanting lush green Deodars Barot is an enthralling place to visit. The adventure loving people can enjoy the Haulage Trolley ride from Joginder Nagar. The Haulage Trolley ride from Joginder Nagar to Headgear again is a wonderful experience. There are many adventurous activities which you can do in Barot Himachal. 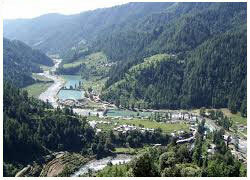 There are two beautiful reservoirs of the Power project in Barot. Enjoy fishing here. The trout fish of Barot is amazing. 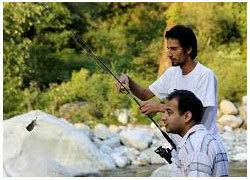 Enjoy angling here in the river Uhl in Barot. You can also visit the Nargu Wild Life Sanctuary in Barot Himachal, across river Uhl. In Nargu Wild life sanctuary you will find home to the ghoral, Himalayan black bear, leopard, Monal, kite, monkey, kasturi deer, wild cat, nilgai, kakkar and a variety of pheasants. You can also take a trek route from Barot to Kullu. Danasur Lake is situated at a height of about 4300 meters which can be reached via trekking route from Barot. Though there are no hotels in Barot but you will find decent stay homes there which are very neat and clean and economical. Hotels are available at Joginder Nagar. HPTDC Hotel Uhl run by Himachal tourism department is a decent and economical hotel for comfortable stay near Barot.